What I like about Crelate is the ability to drag and drop. This function is helpful in identifying which stage candidates are in as well as holistically looking at candidate pipelines. It is also helpful to keep notes within each candidate profile in order to refer back to how they moved around in their respective stages. Crelate has a good activity feed where you can see a play by play on movement within a pipeline for any role. What I dislike about Crelate is that it is touch sensitive - the drag and drop is great, but can easily be moved around without recognizing you are dragging and dropping. Additionally, you cannot view candidates without clicking thru separate profiles. It would be nice if you were able to click "next" versus exit all together and find the next profile. Seemingly simple tasks are missing from this platform. If you are an external recruiter looking for a platform that is effective in keeping track of the pipeline, Crelate may be the best ATS to go with. Corporate recruiting, however, not as effective. This was an interim solution for our recruiting process. The benefits that we have realized is that this is a great tool for a recruiting agency, not an internal environment at an organization. We have actually realized that we need a feedback component to the ATS in order to holistically compare candidates apples to apples. Hi Chelsea! Thanks so much for taking the time to write a thoughtful review. With feedback like yours, we're able to improve Crelate for everyone. I'm happy to tell you that Crelate does give you the ability to navigate through different contact records quickly (without needing to close and re-open). We’d be happy to show you how to utilize this feature. Please contact our support team by clicking the “Find Help” button in your Crelate account. Additionally, we’d love to address your needs regarding an internal environment to compare candidates apples to apples. Depending on your requirements, we have some great solutions for you! Thanks again for your feedback and we hope to hear from you soon. "Crelate is a wonderful organizer"
I love the ability to share all my info on candidates with my colleagues, that we can share notes and move candidates throughout the process. And I love the feature where you can send emails on behalf of your colleagues email address. That has been a great tool for me and our team. When I open a new job, it immediately is listed as New Lead and not New Job, so I have to remember to switch it. Excellent Application Tracking System. A wonderful tool to keep your team on track and organized. A way for everyone to see the progress of the team. Great analytics. We have a project we're working on for a client that is not necessarily a job fill, but more specifically an org chart. Crelate made it easy for our team to mark different departments and throw prospects into it. "Became an instant building block of our organization"
Crelate is highly customizable, so we really feel like its *our* Crelate. That matters a lot to us. We're over the moon about Crelate. The only complaints we have are very feature specific, and I am confident that Cr will be considering our requests for changes in future releases. Big picture wise, we haven't a single complaint. The customer support is fantastic - they have led us to the right solutions as we go. We can now say - with confidence - that our team needs to put EVERYTHING into Crelate. We don't have to add caveats about what they can export, or provide detailed training around it. Crelate is fully integrated. "Early review for Crelate is very good." The migration and ongoing support and training is very strong. Over time, this has not changed...still strong, quick responses to any issues or for training. They also make it easy to get a zip backup once per month to supplement my digital backup of the database. The Home interface can be customized to fit our use of the product which is nice. We now use that as our reporting mechanism as opposed to printing a physical report for each recruiter and management. This allows us to review in real time progress on each open job order, next steps with candidates, and how to get the position filled. Tying together all info can still be a challenge for some team members but again, the Crelate staff is very accessible and help to clarify steps when we get off track. Like any new software, it can get confusing. Not really Crelate's problem, more that my staff has used the same software for a very long time, in its different iterations, so anything new would be difficult. The report mechanism is very thorough but the output to a printable document is weak. I reviewed 5 software packages and this had the most of what I wanted in terms of features and the migration was exactly as they described. This definitely helps to visual see what is happening in the business on a real-time basis. Much more robust than what we used in the past. "6 months into Crelate! " Quickness and ease of moving around the ATS. Easy to view candidates and companies and roles. I Love being able to quickly make lists from Linked In, adding candidates to roles and having a potential candidate list to easily follow up on. A little more structure when moving to interviews would be cool. Like as soon as you move to the second interview, I want to have somewhere for what time and who it is with etc. You have to put those in as notes afterwards. ORganization of potential and active candidates. The biggest benefit I take away is adding candidates to lists and roles straight off of LinkedIn. "I have an administrator account for my company"
I love the flow, simplicity and integration with my calendars. I really like the way that I can customize search queries so that I can keep track of all the things going on with myself personally, and with the company as a whole. I really like the notes and stages feature with respect to the UI. Every thing seems to be represented how I would expect it to be. The mobile app allows me to take notes on contacts, but other than that I feel like the mobile app is useless. A recent update has limited my use - A note window was limited on minimum size and now I am unable to easily reference a resume while taking notes. Their customer support has been amazing at hearing my concerns with respect to other issues. I sincerely trust that they are looking into this one. This program is an excellent tool for your team. It allows you to customize, but some reporting needs improvement. We are in much better communication both internal and external with Crelate Talent. We have streamlined our process and increased our sales drastically! "Crelate is very useful and helps keep organized. " I enjoy using Crelate and utilizing all it offers because it keeps myself and my co workers up to date with each candidate that we speak too. It's also a great source to reference when an issue arises or you are needing to see where someone is at during the on boarding process. Crelate is helpful when it comes to building relations with candidates because you are able to put notes and reference them every time you pull up that candidate. All in all, what I like best about Crelate is how user friendly and how up to date and on top on tasks that Crelate keeps us on. Something I would change about Crelate is the "Owner Status". If there was a way that Crelate could automatically populate who the new or current owner would be. Meaning - last person to contact that candidate. I would say what I dislike most about Crelate is keeping up with the "Owner" status. Crelate is a great tool to use and a great way to keep everyone using Crelate within a company up to date throughout the on boarding process as well as any communication that is had with a candidate. My company is solving business problems with Crelate by always documenting everything that is done/said while talking to a candidate so that each of us are aware of the situations that we are dealing with. Staying on top of communication helps us avoid problems and we are able to do that by using Crelate. I would say my company benefits by using Crelate in many aspects. It keeps each and every one of is up to date and on the same page with candidates/clients that we speak to daily. The tasks are also very helpful to use because it's an easy reminder so that there isn't anything that ever falls through the cracks. You can do everything in one window, instead of to program opening multiple windows. Our last ATS would open a window with every click, it became very cumbersome. Everything being in one window saves us, time, more is getting documented, and it's cut down on mistakes. The mobile application is very watered down. It would be great to be able to see job descriptions in the mobile application. Also, you have to know your password in order to change it, which isn't convenient. Internal communication is much more efficient with the task feature. The stage feature is nice too, using it to view a snap shot of candidate we have in play has been a big help. "Solid Recruiting Tool with Integration to Gmail and LinkedIn"
Monthly newsletter limited to 100 per "send"
It's easy to learn and has a lot of features that are hidden but all you have to do is ask. Importing, storing and searching candidate and client data, archiving all emails with them and mass mailing of newsletter. It's nice to receive a resume and then have Crelate import it AND then have the Crelate Chrome extension add additional info from LinkedIn especially the photo which then appears in the top right of the Crelate record. I like how easy it is to create a distribution list and then add people to it when adding their record to the system and then creating an email template and then mass mailing it from within Crelate using the distribution list. I use this for marketing both recruiting services and opportunities. Crelate automatically handles the unsubscribes so I don't have to use a separate email service like Constant Contact. I'm also a fan of the integration to Gmail and Chrome which allows me to see my entire email conversation history when I open a candidate or client record. The fact that Crelate is still small and working hard to win customers has meant that support has been great as they've helped set up all these functions for me. "CEO and Chief Talent Partner"
You can tell it was created by a Recruiter. Everything just makes sense and a lot of functionality that would easily apply to any workflow. Even though they pack a ton of functionality into this product, but we were still able to start using it from day one. Customer support is prompt and detailed. They are great and real problem solvers even if the problem is something outside of the Crelate platform. The Chrome Extension is super effective and well designed. Having all details on one page (window) is a real help. Nothing to state here. I look forward to additional feature rollouts from the team at Crelate. Recruiting/Staffing. This has helped us make use of our candidate database as well as easily track candidates through a workflow. "So easy to use, meets all my needs"
I like the drag and drop features, and how easy it integrated with my business website. The price point is great! Value for this tool is excellent. Crelate Talent makes it easier for candidates to apply to my job postings. I also love that I can post to multiple external sites. The ease in organizing my own talent pool has increased exponentially, and I love how easy it is to customize. Crelate allows me to search my existing database and parse new data into the system in multiple simple and convenient ways. Visually it is very eye-pleasing and easy to locate main functions. Customer service and review of feedback for improvements is outstanding. Reporting features are good but could use some small refinements. I know that Crelate has been working on this and major improvements have already been made. You will not be unhappy! Customer service is beyond reproach and they are constantly looking for feedback on how to make the product better for you the user. Defining workflows, how your company utilizes metrics and continually adding free job boards that are specific to you. Search time for qualified candidates is down, missed notes and emails are better reported with the Outlook plug-in. Less cross-over or miss-communication on candidates and jobs between recruiters and account managers. I like that the site is set up to help match displaced employees find employment. I dislike that I have a difficult time finding the information I am looking for. It makes many clicks to get to where I need to be. In my experience, this is a great way to advertise for employees AND help employ displaced staff due to a recent plant closing. I am unsure if I would use it in another situation as I am unfamiliar with how potential employees find the site. The business problem I am solving by using Crelate Talent is using another source to advertise job openings at no cost. The benefit I've realized thus far is having our companies represented in a job market where employees are difficult to find. "Strong and Simple Platform "
The simply of the system and strength of the search functionality makes Crelate a great product. To be able to save and quickly search for detailed customer, Crelate has been impressive. The Crelate support team is amazing to work with and are very quickly to reply with any issues. The online videos and modules that they have set up are truly amazing. The ability to have download and filter candidate information is quite valuable. Crelate's ability to work with other job boards has made a great difference in the quality of candidates that we are able to consider for positions. With Exporting filtered data, we are able to align and get a better read as to the amount of candidates submitted etc. The new Microsoft Work integration has removed the old (amazing) search functionalty. Then when your search for a word, the document zooms out and then you can't read the document. Please revert back to old CTL F yellow high layout. There is some functionalities that are currently being improved, enhanced and fixed very quickly. Jobs no longer post/listed with Indeed. Look at how you currently use the system that you have and then realize that Crelate will be able to further maximize your data for future needs. The quantity of data, files and contact information has become very accessible. To be able to quickly contact candidates to confirm information is a huge asset . The ease of use and the support! Both amazing! I have been through MANY MANY ATS systems. This one is by far the best one because they are willing to listen and have constant updates improving the system. I also like the ability to customize and since I am a visual person, the platform is easy on the eyes and brings in several features most are not incorporating. Haven't seen anything just yet. Still fairly new to the system. Definitely recommend! Your voice is at least heard and support really goes out of their way. More streamlined process and a lot more use of the system. "Experience, Ease of usage and the functionality of the product"
Reports and statistics helped to predict the business and market in the running industry, what we have to improve and what we can bring in the change, in the system, it provided a very good and reliable and proved to be a reliable source of data tool. "Crelate works the way recruiters work"
If you are looking for a recruiting system that helps you recruit- helps you managing candidate flow through the interview process extremely well. You can't go wrong. It's an outstanding project management tool. I can track all my open projects on one page, and track every candidate through the recruiting process. Crelate is an incredible value, given that free updates are released periodically and I always feel I have current features. Tough to say. The migration from my old database wasn't easy, but I found technical support to be outstanding. Managing multiple projects and keeping track of dozens of candidates in the pipeline was a challenge before Crelate. Now I have an instant snapshot of every open project with the status of all candidates on one page. Functionally, navigation between candidate and client records is easy, so I can access all contact and candidate information right from the project management page. It's made my administrative work much easier, which is important for a sole practitioner. "Great Applicant Tracking System! Works very well for our needs." I love the layout and look of this ATS. Before we decided to go with Crelate, we researched many other options and this one is very user friendly and is just easy on the eye. Some of the other ones we looked at were very "texty" and all black and white. I love the ability to customize things to better fit our process and working needs. This has been a life-saver for our recruiting department!! There are a few small things I dislike about the system but it seems like it is continuously improving with each update. As we are still getting used to all of the features, we are finding new ways to help make things easier and our work more efficient and timely. It is very customizable and easy to use! Would highly recommend! Helps us keep track of everything. We didn't have an ATS prior to using Crelate and it was unbelievably hard once we had two recruiters on board. Now we can easily see who's been contacted, where candidates are in the process, and the jobs we are working on all in one spot. "Glad I decided on Crelate"
After extensive research on several applicant tracking systems, I am glad I decided on Crelate. I did several trials on other ATS systems. I chose Crelate due to ease of use for direct hire recruiting. The interface is the best I've seen in that it is clear, understandable, and allows for customization as well. Very easy to use and continues to improve. I am not very good at Boolean searching so I have some trouble with my searching. I really do not dislike anything about it Crelate, but I just think I could apply myself to learn all the features of the system better. Crelate has solve my problem of getting more organized and keeping track of dates, appointments, follow ups, interviews, and also a central location of all items and transactions for each individual candidate and client to create a history. Crelate is one of the easiest ATS I've ever used. I especially like the multi-resume upload, auto record creation, LinkedIn profile parse, and the drag and drop functions. Most other systems require so much set up for custom workflows. Crelate takes less than an hour to set up. 1. I think the reporting tool can be improved. The dashboard reports are great but a standard reporting tool would be a great additional option. Crelate is a great tool for an ATS. I've used other ATS systems in the past and this is the easiest to configure, use and for collaboration. Additionally, their customer service is stellar! We are a staffing and consulting firm and needed a project and candidate tracking tool with pipeline capabilities. Overall, Crelate is easy to set up and use. I love the ability to customize Crelate to fit exactly how you want to run your recruiting desk. The team is fantastic at listening to what you need, if they don't already have a way of doing it, they will work on finding a solution. For third party recruiters, this is a dream product. I recommend Crelate to a lot of recruiters who are looking for a great ATS and not wanting to spend tens-of-thousands of dollars on a product that does not offer half of the features that Crelate will offer. I wish we could bulk email and have a more sales-tracking approach for client activity. Offers a lot of great features that are very customizable to your business needs. I wish we could bulk email and have a more sales-tracking approach for client activity. I would like to learn more on how to track and manage my team's activity. The best thing about Crelate is the usability. - The product is extremely user frenziedly. - The drag and drop capabilities are excellent. - Many of you emailing tasks can easily be automated. - Integrates well with email systems. Unfortunately Crelate does't integrate with outlook calendar. So I don;t get alarms on tasks and events. The other issue is that it is difficult to use as a CRM system. For my business, we need two different systems. a CRM system (Nimble) for the Business Development side and Crelate for our ATS system. It would be nice if Crelate added just a bit more functionality to allow it to be used on both side of the business. I have tried 6 different ATS systems. Try it out. It's not the cheapest, but it is very user friendly, which is critically important to getting the job done efficiently. You will not be disappointed. Crelate allows us to very easily handle the entire recruiting portion of our business, including job postings on job boards, applicant tracking, and automated applicant communications. "I don't understand why Talent Partners use anything else!" - Agility and responsiveness of the team - they respond to issues immediately (it's incredible!) and they are also very receptive to new ideas. I'm so grateful for the number of times they've built new features from my ideas. - Search capabilities. Love how easily I can layer on filters. If I'm being honest, I don't love the name. No one ever knows what I'm saying when I brag about how awesome "Crelate" is. But that's really my only critique. We use Crelate for our deal flow (we are an investor). We use it for recruiting at our portfolio companies. We use it to track great vendors and consultants. It is our main database for everything. We would be at a complete loss without it. Crelate is great for our small firm (around 60 employees). We don't do mass hiring so a lot of "bells and whistles" are unnecessary. Its easy to add customized forms and fields and its reporting functions are easy to use. I also like the ability to import resumes to generate contacts. In addition, LinkedIn profiles may also be imported using an optional browser widget. I wish we could customize the job posting feature better to match our website. I recommend it for small firms who want an easy to use product with out too many features. Accurate tracking of candidates through our process. It is a great tool for talent and employee management. It is easy to use and I am able to get in and out quickly. The performance is excellent and user interface is very intuitive. The security capability continues to improve, but I would like to see a more robust security model where I am able to assign managers to specific individuals and have a hierarchy of security. We use it heavily for candidate tracking and employee performance reviews including documenting kudos, performance issues, 1:1s and reviews. it is very good to see from the time of interview through the employee's career the journey they have taken with us. "Best ATS for the money and it keeps getting better"
"Helping to Make the Recruiting World A Better Place"
The functionality is incredibly simple. Everything is straight-forward, and you don't have to go far to find what you are looking for in terms of candidates and posting jobs. One of the top things my firm enjoys the most is the email integration. It's also very easy to sift through candidates and find what you need with the ability to add tags. Definitely the chrome app. It gives me an issue every time I log into it, and always list me as the candidate I'm trying to feed in. Otherwise, Crelate does fit our needs to a T and there's really nothing else about it I dislike. Having to go in and keep everything in an excel spreadsheet. When candidates are uploaded to Crelate, they're already organized in the same way a spreadsheet would be, with including some more options. "Crelate is Super Amazing ATS!" What I do like best is how Crelate Parse Resumes easily hence buying more working time. Also, I like the email system where you can easily message candidates from just a click. What I dislike is how Crelate doesn't parse work start date. I have been doing this manually whenever Crelate parse resumes during uploads. Would like all Recruiting and Staffing firms to use Crelate because it is very easy to use and customer support is wonderful. We have been building a team of candidates for VR Candidates and Crelate has made it easy and convenient to track all candidates. I love the ease of use. It is so user friendly, and the customization features are amazing. We don't know how we functioned without it! The stages and moving candidates through them are perfect! Honestly, nothing major comes to mind. I wish there was the ability to show job orders by selected users. I think right now it is just yourself or everyone on the team. Also, I would love for the time card entry and invoicing capabilities to be up and running. Make the switch now - you will wish you would have done it sooner. Once you check out the demo, you will be amazed. We solved our problem of proper tracking and notation of activities. Now it is so easy for all team members to open a record and know where things are at. "Crelate, for a year now "
Crelate has been a breeze to transition from Sendouts. I love the quick views of the open jobs, any new applications, and ability to bulk email to candidates. I have not mastered searching for candidates, and what I need to tag and not tag. The support is very responsive though and I will take the time to train soon. Make sure you get the training, this has been a super tool for me. Ease of use, training and ongoing improvements. Be sure to ask if you don't see what you want, they are very interested in adding features for us. The above I wrote last year and they have delivered! Crelate is constantly improving and adding to their ATS. The number of new applicants for job postings has been overwhelming, so they are doing something right. "Great for small teams, constantly improving"
Crelate is user-friendly, and while it doesn't necessarily have all the bells and whistles of the bigger-name ATS products, it also doesn't come with the hours and hours of customization and troubleshooting those require. Great for segmenting data and putting candidates through a job workflow. LinkedIn extension is awesome. Emails sent through system end up in junk mail. Can't open windows in new tabs, so lots of navigating back and forth. Manage all of our candidate, client, and opportunity information. Allows us to collaborate as a team and keep our information organized. I like the fact that I can send emails off crelate. I can also track customer interaction just by pulling up a candidate. I want it to track my activity more accurately. I am unable to see what I did yesterday specifically.... I also don't like the fact that you can't merge candidates retroactively,. 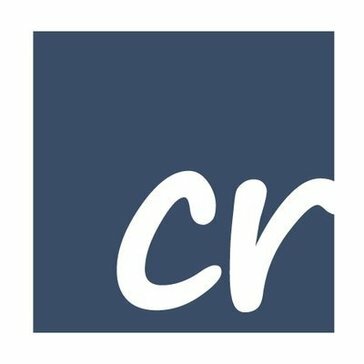 Creating a CRM to track interaction between recruiters and candidates. Focus is on USA and there are issues with tracking Canadian addresses. There are no issues with posting to Canadian specific job boards. The job board is a bit limited in it's customization and website integration. The application form only allows one document to be uploaded at a time. Ensure you spend extra time working with the Crelate team to setup your workflow stages before you start accepting applications. Incorrect setup will make it difficult to track activities or develop KPIs. An efficient electronic system to manage our hiring process. Transitioned from a paper based recruiting system to Crelate. Allows us to keep a searchable history of current and previous applicants. I like that Crelate is easy to you and in particular, the extension for LinkedIn is very helpful. I came from working at Oracle, so I had in my mind that solutions similar to those that Oracle provides are the best and it's a waste to invest in others. Once utilizing Crelate at my new company, I realized that this is not the case. Crelate is a perfect tool for a company like BioPoint. I dislike that sometimes when I click on a candidates profile, it shows there is no activity. I have to refresh the page to show what really has happened. Crelate easily manages all my candidates. I have all the information I need on them. I can see everyone else's activity including people on the business development side. "Great ATS for any size company"
This program is designed with the hiring managers and recruiters in mind. Easy to maneuver, and can be set to the specifications that work best for each company. Also, the staff with this company truly have your best interest at heart. The company is open to hearing ideas and improvements, which, to me, shows they have a vested interest in their product and customers. Give this program a try, as I think you will find a substantial increase in the number of qualified people applying for your positions. "Great CRM/ATS for the price"
One of my favorite parts of Crelate is the Chrome extension, which makes it much easier for me to add candidates and edit their profiles in the database. It's also nice that I am able to select the fields that I want to be displayed on the extension. The search functionality within Crelate isn't great; it's not the most intuitive, though once you go through training and get the hang of it, it's simple to use. Interface is effective enough though aesthetically could be improved. My other hope is that they come out with a client-facing extension or a tool wherein profiles within the database can be automatically synced to the actual LinkedIn profiles. Some bugs and minor things are still being worked out. Nothing major and nothing I would not expect from an operation of this size. Still, the team has been responsive to feedback. No major complaints. Make sure you demo and trial the software. This software gets me on the phone. Simple. Crelate is easy to add new candidates and keep notes for tracking. With multiple recruiters, it's nice to see comments from all users. I'd like to be able to sort by any field. It's great for candidate and open job tracking. We can easily see who has talked to a candidate and what progress has been made. "Great for any size Talent Firm"
I love the ease of movement and visibility of the platform. it is very intuitive and makes managing candidates a breeze. The customer service is also lightening fast! The only downside I have seen so far is that it is not yet been Canadianized regarding the address's and search functions, but they promise me they are working on it. Do your homework, then choose Crelate. We are a remote multi city based Talent Network and Crelate make it very easy for us to share information and updates in real time. "One of the Top 50 "
It has come at a time when need it. It is highly customizable with light features to help get started with ease. Such features are not easy to find in similar tool in the market. When it comes to training, we have received that and more from their customer support team. They have been of great help where our users are able to understand how features in the tool work over time. With the improved features after every upgrade, we are able to adopt this tool and entrust it with our projects in full. They add new features in their upgrades depending on the issues we raise to them. This works best in our favor. We only have one problem with this tool, which might be on us anyway bearing in mind that the sole purpose of the tool is not about that. We want the developers of Crelate to include business development functionality. We do a lot of that and it would be better if they added such a feature to help us with our processes. We have made this issue known to them and they have promised to add it. Once this takes effect we will be able to smoothly utilize the product in our business environment smoothly. However, we are not worried much about that as the business development processes are not robust. It is thus possible to work around them with ease. It is simple system which means the features are easy to learn. Before Crelate, we had a robust system which was not easy to get around it. Then we had to switch to the use of Google Spreadsheets as the previous system did not allow our employees to collaborate on the same platform for the projects we undertook. With Crelate, it has come to solve all those problems, as users can access all the information about candidates on the same platform. It has allowed us to create a database on which we can search for a candidate on the same database for the qualities we are looking for. "Great for Agencies, but not as intuitive as some ATS systems"
I like how easy it is to use in an agency setting and I like the display of the candidates as tiles for each job. I also like being able to drag/drop them into the categories (hired, rejected, phone screen, onsite etc). Crelate is not as intuitive as some other ATS systems out there. To review a resume is pretty time consuming because you have to click open more screens instead of just seeing it right there with the candidate profile. The team at Crelate is really great at taking feedback and adding it to their product. I feel very well supported when using this product. Crelate helps us as we recruit for different startups that don't have their own ATS systems. I love that the system is incredibly intuitive. Once you get the hang of how everything works it's so easy to flow from one area to another and bring candidates/jobs through the pipeline! I would like to see more CRM features, I know this is a feature that the company is rolling out, but anxiously waiting! Give their trial a go, after being immersed in the system you won't want to switch to anything else! We were previously on a completely paper/Excel system so it has been great to move things onto this platform. So far, things have been more streamlined, I am able to find candidate/information quicker and make matches I most likely wouldn't have been able to make before. I like the pop-ups that tell me how to navigate a new system. I like how clear the functions are. The inability to do actions in large quantities, you are limitied to add to lists and send bulk emails, just makes doing tasks longer and more complicated. I don't like that its hard to search by name- need to know exact spelling, if they are a candidate or contact and some times have to search last name first. Not sure at this point in the process. "Great Customer Service - Easy to Understand!" Crelate is super easy to learn to use. I also love that it's available in the Cloud, allowing me to work from anywhere. Their customer service team is incredible, respond quickly and are always happy to jump on a video call and explain things to us. It's made our business much more organized. I wouldn't say I "dislike" anything - Crelate is definitely still developing. This has allowed us to make some suggestions and give feedback about things we'd like to see. I'm looking forward to seeing its compatibility with other databases expand. Crelate Talent makes communication much more seamless, it's WAY quicker to add candidates than our old software, and it's a great place for us to store documents. "Easy to use and phenomenal support"
Easy tool to meet your needs and follow a process. No problem navigating and an easy to find help menu with simple follow along instructions for any question. Configurable to users and a fantastic ability to draw in resumes and LinkedIn profiles on demand. Truly easy to use. Communicate with the support team, they have been 100% spot-on and helpful beyond my expectations. It is a strong recruiting tool, able to store candidate records and communications related to them. Their deployment team is incredible and they move very fast. Got all of the specs that I need and integrated quickly. I feel like the process flow is exactly what I want. Sometimes can be hard to manipulate a lot of data all at the same time. Get it! They are awesome. Keeping track of each of the companies that I work with and candidate pipeline. "Clean, simple, powerful, great for external exec search "
I really love the fact that the system is very user friendly and the search feature for candidates is spot on. Also, it's great to be able to attach your list of candidates to the Job Order and bulk email the list you created. Nothing comes to mind yet. We've been using the system for under a week now and everything seem very easy to use. I would recommend this product to other recruiting firms. It's very easy to use, the search features a great and being able to go to the dashboard to see everything in one place is also a great benefit. I am a numbers person and I really like the reporting feature that shows my activity in the system. Our old system did not have any type of reporting at all and was difficult to measure my efforts in order to reach my goals. Being able to parse LinkedIn pages into Crelate is a great feature that our old data base system was not able to do. Also, I like the Home Screen feature and the ease of viewing reports. "Crelate is a good, intuitive ATS"
I enjoy using the site, the UI is easy to pick up on. It's aesthetically pleasing and the extension is absolutely great for my job as a recruiter. I like using it. Plus it's easy for us to reference candidates we have while looking for others and find emails we've already found quickly. So many windows, things can get messy. Some features are hidden through many buttons and sometimes thats fine, but sometimes its annoying. Apart from that though, I like it. It's hard for information to NOT be cluttered when it's so much of it, we have a ton of candidates in crelate and some have been parsed better than others. Crelate is a good company with a good product. It was created by people who understand ATS and recruiting. You can send out emails directly from the site, or just use it as your own candidate database. We're a full-service contract recruiting/staff augmentation firm. Because we work with other companies as their in-house recruiters, we often just use whatever ATS the company is. But for us as a company, we now own our own data and ATS, and I'm surprised it has taken us this long to get one. * We monitor all Crelate Talent reviews to prevent fraudulent reviews and keep review quality high. We do not post reviews by company employees or direct competitors. Validated reviews require the user to submit a screenshot of the product containing their user ID, in order to verify a user is an actual user of the product. Hi there! Are you looking to implement a solution like Crelate Talent?